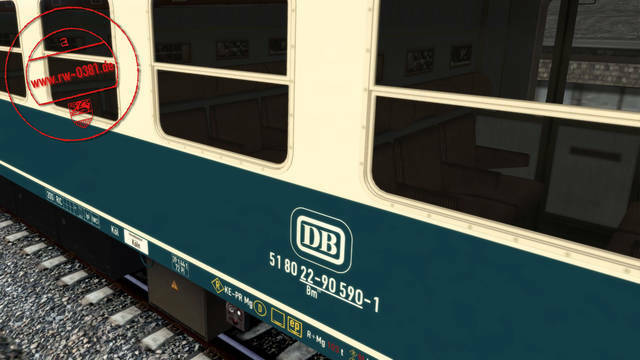 Travel anywhere you like, with the 'Blue Ones' - InterCity services, express trains (D-Zug) on routes of the Deutsche Bundesbahn, or even on the 'Interzonenzug' between Western Germany and West Berlin. 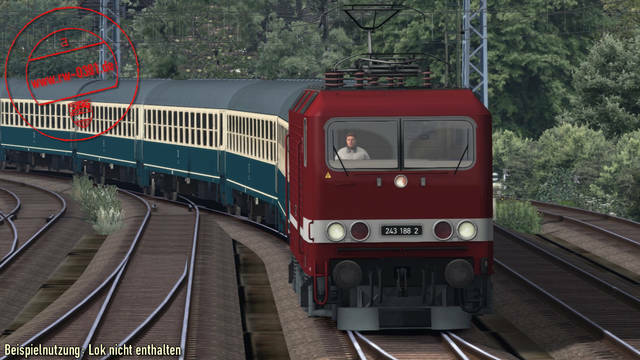 These coaches are at home everywhere! 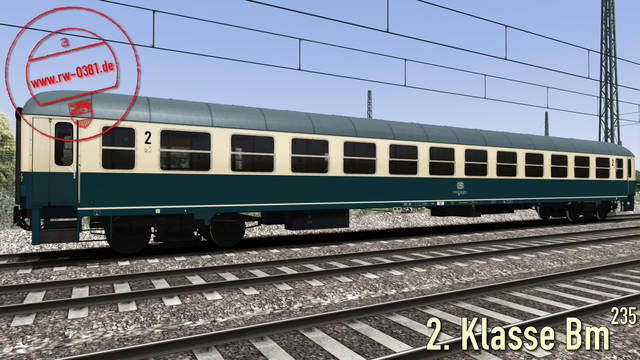 All coaches feature dynamic numbering and animated doors. 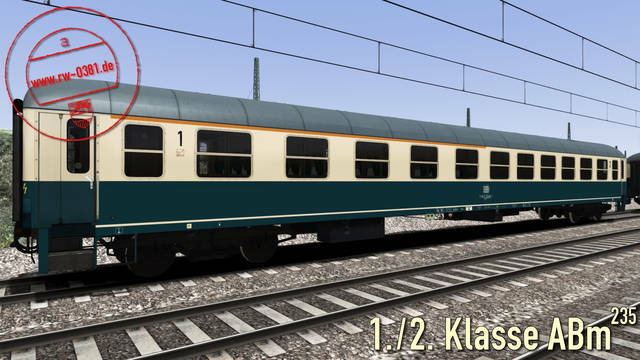 Passenger models and different passenger views are included. 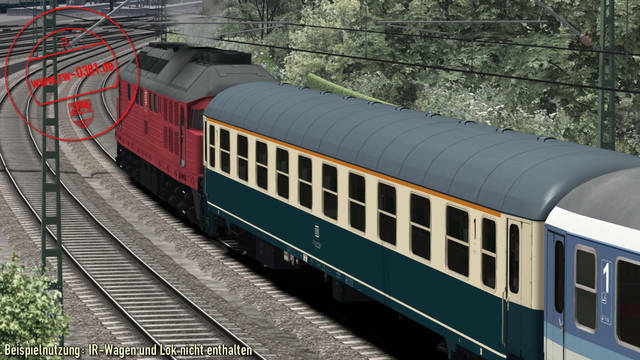 All coaches also feature excellent custom sounds by Trainworks. 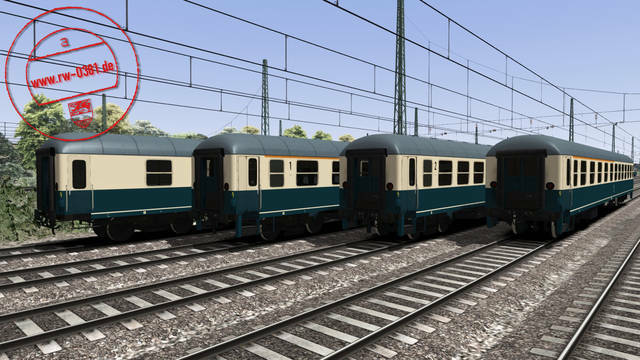 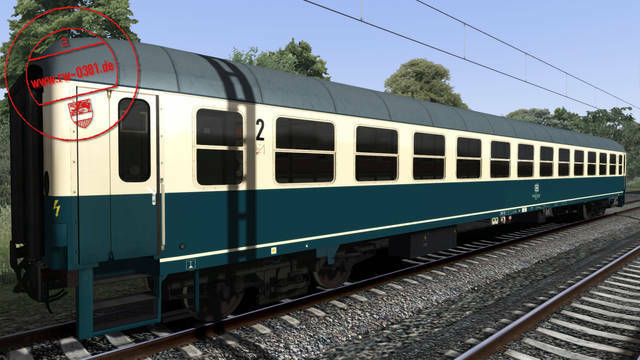 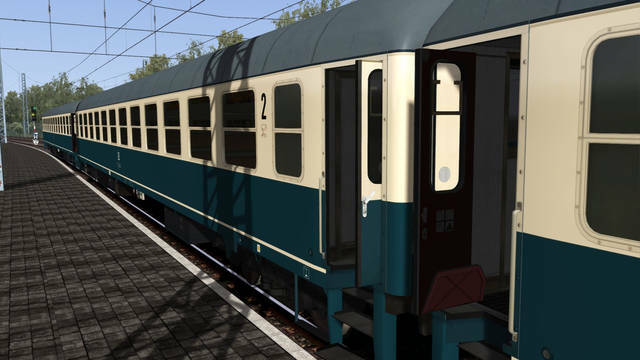 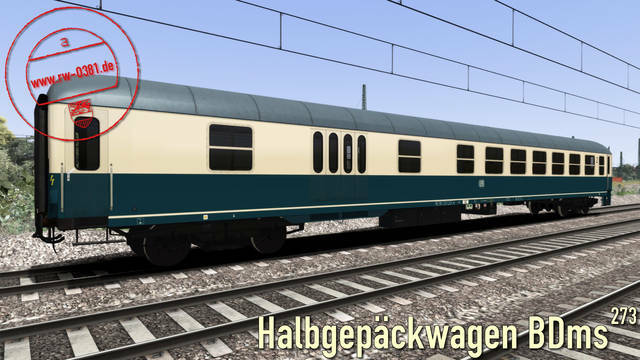 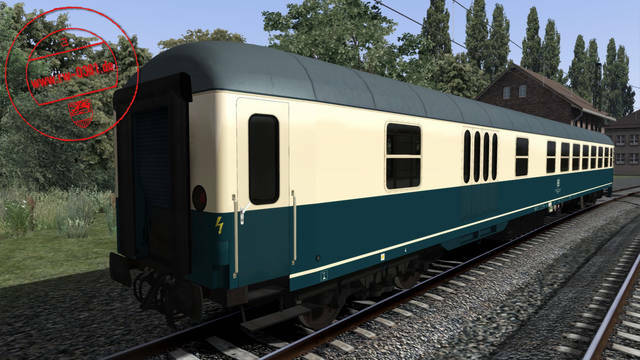 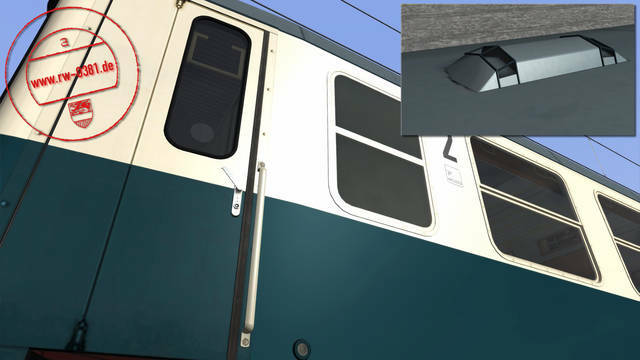 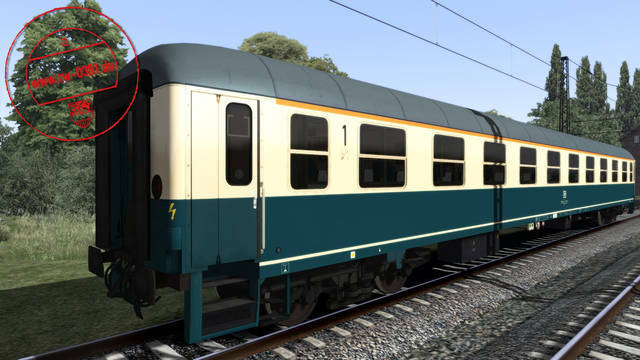 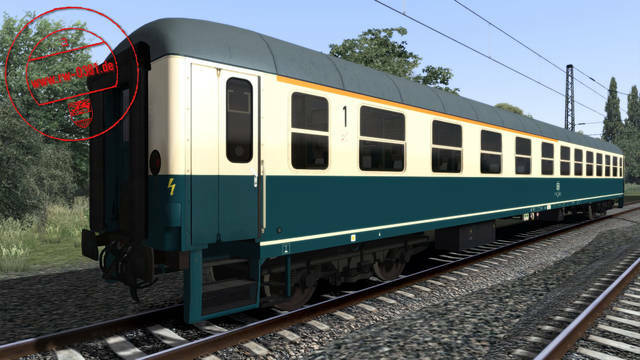 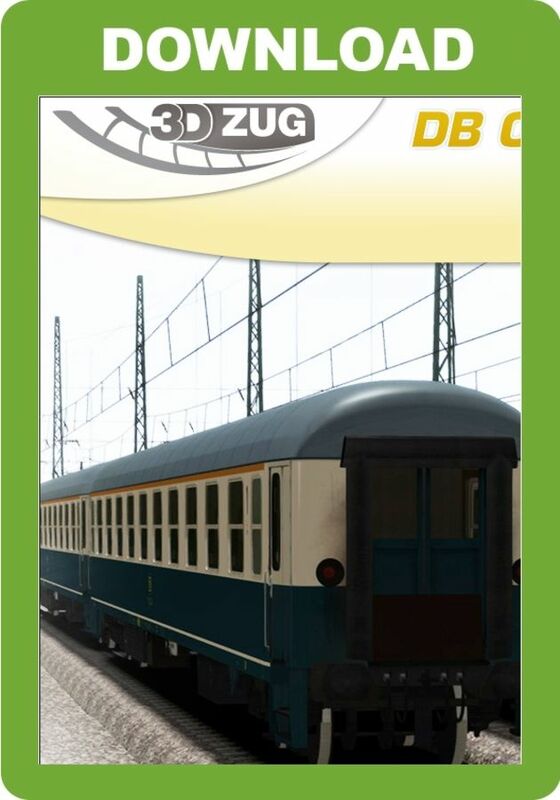 This 3D ZUG package of carriages for Train Simulator brings you four different 'Blue Ones' - the 2nd Class Bm 235, 1st/2nd Class ABm 225, 1st Class Am 203 and the combined Coach/Baggage Bdms 273, all with dynamic numbering and animated doors. 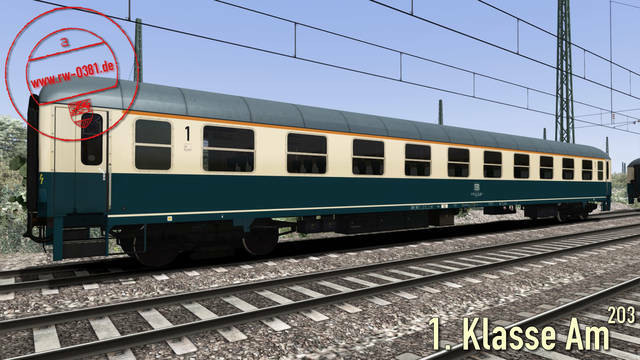 Passenger models and different passenger views are included and the coaches all feature excellent custom sounds by Trainworks.